Trumpeter/Composer and one of my favorites of Horace Silver’s Trumpet players. As a very young budding saxophonist, I had the honor of meeting Carmell Jones, who at the time ,was in Los Angeles playing with the Gerald Wilson orchestra . Gerald also sponsored a Youth Jazz band in the mid 60s, Older Wilson band members would mentor us as a way of passing on the legacy. The educator in Carmell always found its way to share his knowledge of music whomever he encountered. His sound was unique and full of the blues. which is probably why he was chosen by Horace Silver for some of his greatest recordings. (Tokyo Blues and the highly popular Blue Note Records, “Song for My Father”) also, He had a really cool name, Carmell! (reprinted from Jazz Ambassador Magazine -1990) CARMELL JONES – the name just sounds like jazz, doesn’t it! Most of the Kansas City jazz community thinks of “trumpet player” when the name Carmell Jones is mentioned. 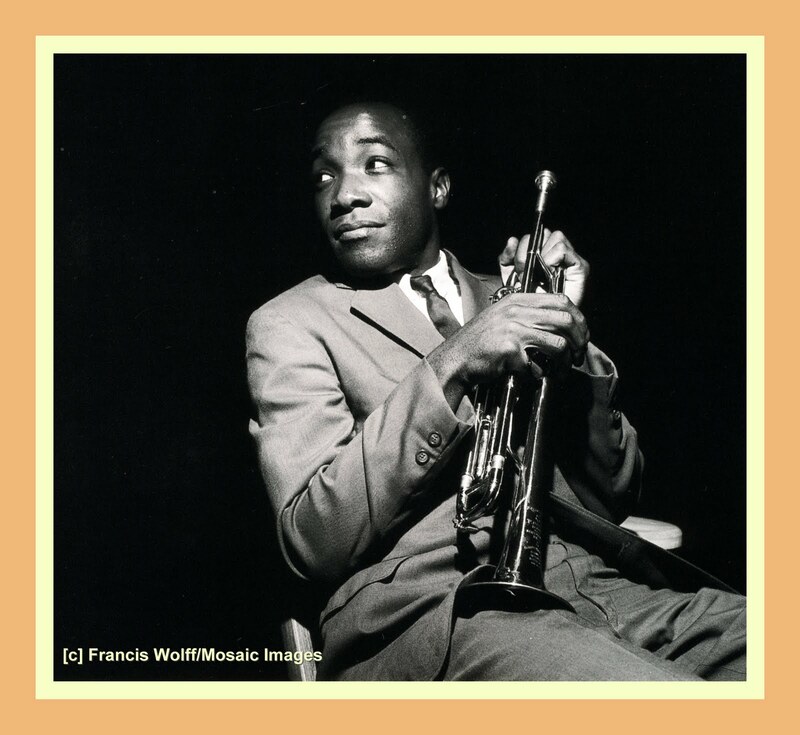 Add to trumpeter, composer, arranger, music publisher, educator, and recording artist with over sixty albums to his credit. His fifteen year stay in Europe (1965-1980) probably cooled some of the national acclaim he had experienced in the five previous years, but Kansas Citizens didn’t forget! It has now been almost ten years since Mayor Berkley proclaimed “CARMELL JONES DAY” (October 5, 1980). When asked how old he was when he became interested in music, Carmell said, “Two.” The similar question specifying jazz music, received the same answer. He says, “If you don’t like jazz, you probably wouldn’t appreciate a rose, or a tree, or a mountain.” Carmell was born and raised in Kansas City, Kansas to parents who were both teachers. Piano lessons started at age five and gave way to the “that’s for sissy’s” attitude. The trumpet lessons started at age seven. In 1964 a new chapter began. He went to New York where he joined the Horace Silver Quintet. He recorded three albums with Silver including his famous “Song For My Father” (Blue Note Records). It was during this time that Down Beat Magazine awarded Carmell Jones the designation of “New Star Trumpeter.” Under the Prestige label and his own name, Carmell recorded what he considers his most successful personal album, “Jay Hawk Talk”, with Barry Harris, piano, and Jimmy Heath, tenor, Roger Humphreys, drums, and Teddy Smith, bass. This album received the critics 5 Star Best Album Award. “Jay Hawk Talk” included one of his favorite compositions, “Stellisa,” named after his daughter, who was named after his mother – Stella, and his niece – Lisa. As result of his success, Carmell was invited by Joachim Berendt, the German jazz critic who had heard Jones in 1960 while in Kansas City, to go to Germany to play and record. In 1965, he headed for Europe where he would stay for the next 15 years. First was a short stay in Paris where he made a record with Nathan Davis. Then, on to Berlin with “Radio Free Berlin” big band and orchestra. A rather unusual studio type of gig, he traveled the world including trips through most of the communist countries. When not traveling, the job was recording eight hours a day. In addition, his duties included composing and arranging for recordings, radio, tv, and movies. This was a job that required playing all kinds of music which he found rewarding. Carmell said, “Although I prefer jazz, jazz is a conglomeration of everybody’s music.” In his spare time, Carmell had his own big band and played with the Berlin Symphony Orchestra. He left Europe as a star. Carmell returned to Kansas City from Europe in June 1980. For the next three years, it was mostly home town and friends except for a short European tour with Ray Charles. He played with local groups and taught music privately. Carmell was playing in the band at the Kansas City Hyatt Regency Hotel in 1981 when the skywalks collapsed. He escaped uninjured. Carmell feels that wherever jazz is headed, “The musicians will have to be the final judge, but they need followers.” He is excited about the International Jazz Hall of Fame being located in Kansas City and is looking forward to seeing Dr. Nathan Davis and Donald Byrd at the dedication. He feels that the Hall of Fame can be successful only if it is well organized and it is kept organized. Carmell said, “Jazz is the art of spontaneous creation.” His favorite setting for jazz is the club atmosphere. He said, “It doesn’t really matter where I play – in the bathroom or in outer space – it’s gotta swing.” To assemble his favorite group, Carmell said, “I’d have to go to Heaven to get them, you know, like John Coltrane. To really get turned on, you must have good musicians around you. They all need to think as one.” After completing one of those real groove sessions, Carmell says he feels, “Heavenly, satisfied, fulfilled, and happy. That’s the beauty of jazz. It’s gone forever unless you record it, and you can play one song 10,000 different ways – you never do anything the same way twice. Love Carmel, thanks for sharing… His playing is joyful, you can tell he loves the music. “Beepdurple” is one of my favorite tracks off of Jay Hawk Talk.